Sunset comes to Rattlesnake Canyon on a warm summer evening. 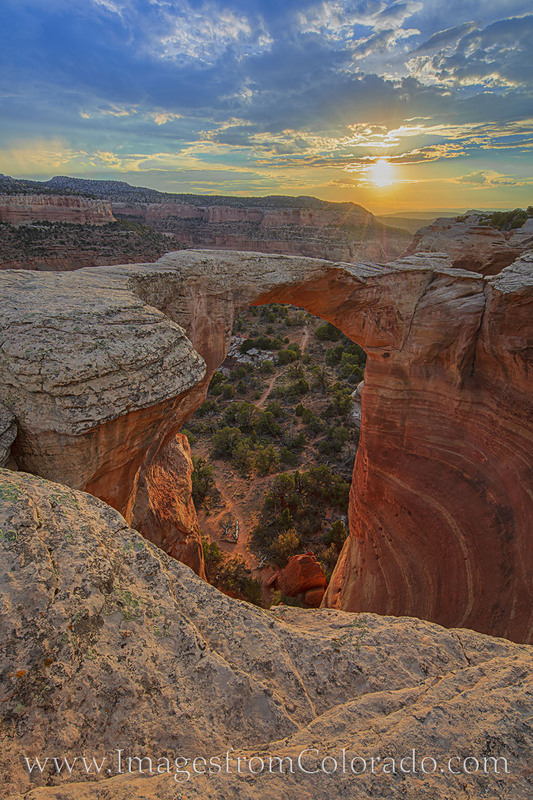 Here, the iconic Centennial Arch, known by other names including Rattlesnake Arch or Akiti Arch, rests in the last rays of sunlight. This beautiful area found just west of Grand Junction in the McInnis Canyons area is difficult to access, but the rewards are worth the effort. In the days I spent photographing this location, I never saw another person except the two with whom I traveled.